Desert Skyline is a gated community of custom homes adjacent to Desert Highlands, and North of Happy Valley Road. 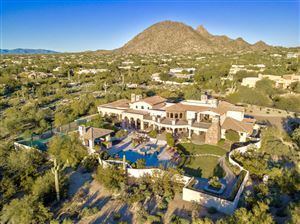 The neighborhood is known for its large lots with great views of Pinnacle Peak. Custom home sites range from 1 to 2.4 acres. Existing custom homes range in size from 2,542 to 7,689 square feet. Close to shopping and dining. See all Desert Skyline - Desert Highlands.